Skin biopsies are often used in daily practice for the diagnosis of acute (aGvHD) or chronic graft versus host disease (cGvHD). With the latest understanding in pathogenesis and new National Institute of Health (NIH) classifications for aGvHD and cGvHD, there is a need to evaluate the current prognostic value of histological grading cutaneous GvHD and its correlation to the clinical grade. In a retrospective study with 120 skin biopsies (all taken for suspected GvHD) from 110 patients (all classified according to the NIH), biopsies were revised and graded, blinded for clinical information, for either acute of chronic features. Morphological grades were compared for concordance with the clinical grade and survival analyses were done for clinical and histological grading. Correlation for histologic vs. clinical grading was (very) poor for aGvHD and cGvHD (weighted κ − 0.038 and 0.0009, respectively). Patients with clinical aGvHD had worse prognosis compared to cGvHD. However, at time of biopsy neither clinical nor histological grading predicted the eventual survival for either aGvHD (p = 0.9739 and p = 0.0744, respectively) or cGvHD (p = 0.2149 and p = 0.4465, respectively). Confirming the diagnosis of GvHD is still a valuable reason for taking a skin biopsy, but this study shows that histologic grading of GvHD in the skin biopsy has no additional value for clinicians in current practice. The online version of this article ( https://doi.org/10.1186/s40001-019-0377-6) contains supplementary material, which is available to authorized users. Allogeneic hematopoietic cell transplantation (HCT) is a potentially curative therapy with proven efficacy in the management of hematologic malignancies. However, it can be complicated by the syndromes of acute and chronic graft versus host disease. Graft versus host disease (GvHD) is a major cause of morbidity and mortality of HCT. Skin, liver, and intestine are regarded as the principal target organs of GvHD and can be affected to varying degrees or not at all. Skin biopsies are often taken to differentiate cutaneous GvHD from other diseases with similar cutaneous symptoms. Although some reports question the value of skin biopsies since histological features may overlap with other skin diseases, they are by most still regarded essential in diagnosing aGvHD. For cGvHD their value is less clear. To assess severity of cutaneous GvHD, several grading systems have been developed. These either have a clinical or histological point of view. Clinically cutaneous cGvHD is either sub-classified as limited or extended  or as mild, moderate, or severe cGvHD [2, 3]. New classification systems incorporate clinical symptoms and patient’s functional status, but sometimes fail to include lichenoid features separately and mainly focus on sclerosis  or do not differentiate between both types within their grading system . However, lichenoid and sclerotic cGvHD show different responses to treatment, in which lichenoid cGvHD has a poor prognosis [4, 5]. In the histological evaluation of a skin biopsy, pathologists try to assist clinical decision makers by confirming the diagnosis GvHD and grade the morphological severity. The histologic criteria for diagnosing cutaneous GvHD include features for aGvHD as well as lichenoid and sclerotic cGvHD patterns . For aGvHD, Horn’s adapted Lerner grading system [7, 8] is often used. For cGvHD however, there are no strictly formulated histological criteria to evaluate severity of either lichenoid or sclerotic cGvHD. Correlation studies between clinical and histological features have been performed previously for gastrointestinal biopsies [9, 10, 11, 12] in which a correlation between clinical and histological grading has both been suggested  as well as denied . In cutaneous GvHD, a similar lack of correlation between clinical and histological grading has been reported , but that was long before the clinical manifestations and new classifications were taken into account. In this study, we therefore analyzed the current prognostic value of skin biopsies in GvHD and whether histological grading of acute and chronic GvHD correlates with clinical manifestations. According to the JACIE and EBMT guidelines, transplantation data were collected from patients and donors after informed consent was signed in the allogeneic HCT unit of the Hematology Department of the University Medical Centre of Utrecht (UMCU). A search was performed in the local pathology database for patients diagnosed with GvHD based on a skin biopsy between April 2007 and September 2011. Cases with more than 1 skin biopsy during follow-up were treated as single individuals (n = 110) for patient-related statistics, and the skin biopsies were considered separate events in our analyses with histology (n = 120). Patients were clinically classified according to the NIH definitions  as aGvHD (including classical aGvHD and persistent, recurrent or late onset aGvHD, after HCT or donor lymphocyte infusion) or cGvHD (including classical cGvHD—chronic progressive, quiescent, or de novo- and overlap syndromes of cGvHD with aGvHD). Clinical grading of GvHD was done following the adapted grading system from Glucksberg  and Pzerpiorka  for aGvHD and the Seattle criteria proposed by Shulman et al. were used to distinguish limited and extensive cGvHD (Table 1). In order to evaluate the percentage of skin involvement in cGvHD, percentages were chosen that are similar to the acute criteria. A summary of the baseline statistics of our patients can be found in Table 3. Revision of the clinical grading (for skin involvement as well as overall clinical grading) was performed based on the actual documented clinical symptoms and signs and compared to the original clinical grading for coherence. All skin biopsies retrieved in this search were revised by two pathologists and graded blinded to clinical information for lichenoid (as a representation of acute/active) and sclerotic (as a representation of chronic) morphological features. The pathologists were unaware of the interval between biopsy and transplantation as well as the clinical symptoms and had to decide for acute and chronic features purely based on morphology of the skin biopsy. Revised grades were compared to the original grading at time of biopsy for coherence. For the lichenoid/acute grading, Horn’s criteria  were adapted (Table 2). Due to current lack of official grading systems for sclerotic/chronic GvHD, we have developed a grading system focusing on limited or extensive sclerotic changes for the purpose of this study (Table 2). The hypothesis used is that severity of sclerosis can be most objectively reflected as the extent of sclerosis into the deeper dermis, often resulting in loss of sub-epidermal fat and incorporation of adnexal structures of the skin. Coherence between clinical and histological grading was performed using kappa, Weighted kappa, and correlation between histology and clinical grading using Pearson’s r test. Survival analyses were done by plotting Kaplan–Meier curves and the Log Rank test. All tests were done with Graphpad Prism version 5.0. p values below 0.05 were regarded significant. Results of our analysis are summarized in Table 3 (for patient statistics), Table 4 (for biopsy statistics), and Table 5 (comparison and correlation statistics). For each analysis in our patients and biopsy analysis, the number of available cases for evaluation from our data collection is provided. Table 3 shows that in 110 patients, mean survival was 2.96 years (SD 2.47), without significant effects on survival of gender, age range, disease, donor type, conditioning regimen and without a significant effect of infection after transplantation (which occurred in a high number of patients). Considering clinical GvHD, patient files were found to be fully documented for our topics of interest in 98.2% of our individuals, revealing that patients either were known clinically with aGvHD only, had both aGvHD as well as cGvHD, or experienced a form of cGvHD without a preceding aGvHD. Survival between these groups was significantly different (p = 0.0037). Separating these patients in more rigid groups (just acute and chronic GvHD, without considering the potential overlap of experiencing both at some time during follow-up), 86.4% of patients had a documented form of aGvHD, of which 60.9% presented themselves having aGvHD when their skin biopsy was taken. Presenting clinically with an acute form of GvHD had a significant negative effect on survival, when compared to presenting clinically with cGvHD (p = − 0.0036) and the clinical maximum skin grade (the maximum percentage of skin involved in these patients) also showed significant differences in survival (p < 0.0001). 81.4% of our patients were known with a documented chronic form of clinical GvHD, but the type of cGvHD presentation (based on the NIH classification) showed no differences in survival (p = 0.44). The maximum overall clinical grade of cGvHD reached had no significant effect (p = 0.8844) either, nor did the percentage of skin involved when looking at skin only (p = 0.7622). Even though clinical cGvHD in patients did not show significant differences in survival between the different forms of cGvHD, the clinical grade of cGvHD did correlate with survival (p = 0.0002). When all skin biopsies were considered a separate event (n = 120), survival did not significantly differ with the percentage of skin involved at time of biopsy (p = 1.668). However, survival was not significantly different when considering the overall acute clinical grade including all tracts involved either (p = 0.4059). For patients presenting clinically as aGvHD at the time of biopsy, there was no effect of the skin grade (p = 0.7702) or overall clinical acute grade on survival (p = 0.6812). For patients with cGvHD at the time of skin biopsy, the overall clinical grade had no significant effect (p = 0.1062). Even though the Seattle criteria normally do not use severity of each tract involved, we also evaluated the effect of skin percentage involved in these cases (as this is used when grading for aGvHD), but this did not influence survival either (p = 0.5231). Both patients with clinical aGVHD and clinically cGvHD at time of biopsy could show histological features of acute and chronic/sclerotic histological GvHD. There is no significant effect on survival for either patients with aGvHD (p = 0.8111), nor for those with clinical cGvHD (p = 0.7996) at the presentation of their skin biopsy (Additional file 1: Figure S1 and Additional file 2: Figure S2), nor for the histological grading at that time (Additional file 1: Figure S1 and Additional file 2: Figure S2). In fact, there was no effect on survival at all when purely looking at acute histological features or chronic (sclerotic) features when comparing survival based on histological criteria only either (histological aGvHD n = 117, p = 0.9509 and histological chronic/sclerotic features (n = 115, p = 0.829). Comparing kappa scores for revised histological versus clinical grading, correlation was very poor for aGvHD (κ 0.014), even when adjusting for the degree of difference in grade (weighted κ − 0.038) and poor for cGvHD (κ 0.015, weighted κ 0.0009). There was no significant correlation between histological scoring and clinical scoring of both aGvHD as well as cGvHD (Table 5 general statistics). Interobserver variability between both pathologists at revision of histology was very low for acute GvHD (κ 0.090 and weighted κ 0.945) as well as chronic GvHD (κ 0.960 and weighted κ 0.968) and complete consensus for each histological grade was reached after consultation. The aim of this study was to evaluate the value of histological grading of cutaneous GvHD and to compare its correlation to the clinical grading of cutaneous GvHD. In summary, our results confirm the lack of correlation between histological and clinical grading of both acute as well as chronic GvHD. For survival, all that seems to matter is the presence of clinical aGvHD and the percentage of skin involved when having aGvHD in skin, while histologic grading of acute and chronic GvHD at the time of biopsy had no prognostic value. The results, however, should be regarded with caution, for several reasons. First, as GvHD is a multi-organ disease, predicting survival on cutaneous GvHD alone does not reflect the importance of GvHD symptoms in other involved tracts for a patient’s prognosis. This could explain the lack of prognostic value for histological grading of a skin biopsy only. Second, as our cases were selected based on having a skin biopsy with GvHD, we do have certain selection bias in our study. Most of these skin biopsies will only have been taken when diagnosing cutaneous GvHD was clinically difficult. The small number of histologically grade III aGvHD in our study can be considered a reflection of this issue. Biopsies could have been taken early in the development of the disease and grade might progress after the biopsy was taken. We cannot be sure that histological grading of skin biopsies makes no sense whatsoever if a skin biopsy would be taken at all times. However, in our current daily practice in which biopsies are usually just performed to confirm clinical suspicion early and need to be justified in view of costs and morbidity, grading GvHD in a biopsy to predict survival has no value at this moment. Third, treatment (after histologically establishing GvHD) has a considerable beneficial effect on survival of the individual GvHD patient which may obscure the natural adverse course of histological high-grade GvHD. Last, grading chronicity of GvHD using sclerosis is rather complex due the lack of existing grading systems for cGvHD, but also confounding other causes for sclerosis. To address the grading issue for cGvHD, we proposed a grading system using the extension of sclerosis to the deeper dermis as a reflection of severity. This might not fully reflect the natural progression of a cutaneous cGvHD, but in our opinion is the most objective way to evaluate sclerosis. Unfortunately, deeper dermal involvement might be missed when a biopsy was too superficial. That might have influenced the results of our analysis. We noticed that in many cases of clinical aGvHD, the biopsies often already morphologically showed a certain degree of sclerosis. It is possible that in daily practice this fact is overlooked and therefore not recognized or mentioned in reports. 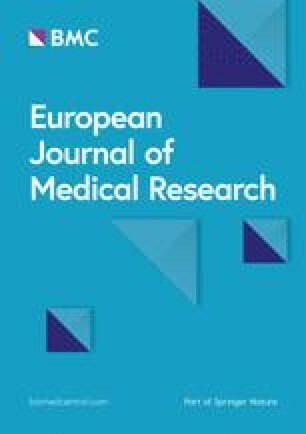 A plausible hypothesis, apart from co-existence of delayed aGvHD in patients with existing sclerodermatous cGvHD or a combination of clinically both lichenoid and sclerotic cGvHD, is that sclerosis histologically might develop in patients with aGvHD even before clinical symptoms of cGvHD occur. However, confounding causes for sclerosis cannot be excluded. A possible effect of immunosuppressive treatment in the formation of dermal fibrosis has been previously addressed by Shulman et al. . Their report also addresses the difficult overlapping features between active cGvHD and aGvHD that might influence the interpretation of a skin biopsy as well as the risk of false-negative results when a biopsy is taken too soon after developing symptoms. It also refers to false-positive results due to recurrent infections, drug reactions, or other inflammatory reactions, although not all infections will influence survival . In other words, the presence of sclerosis in a skin biopsy is subject to many causes and, therefore, using sclerosis to grade cGvHD remains difficult. The design of our study underscores the importance of clinical information at time of biopsy. In our study, the skin biopsies were histologically graded blinded to clinical information, and therefore the interpretation was susceptible for false-positive or false-negative results. Skin biopsies diagnosed as aGvHD in our study might in fact have been active cGvHD cases. In addition, the presence of collagen in the dermis is subject to the biopsy location, so lack of information on biopsy site might influence the grading of the sclerodermatous components . We feel that by referring these cases as having aGvHD features in our study, the activity and possible implications to the clinical features compared to a more sclerotic reaction are still properly addressed. Nevertheless, in our study neither acute nor chronic histological features appeared to influence patient survival. Our study was retrospective and we noticed that in the original grading of the disease both clinically as well as histologically, criteria were not always used correctly. This reflects the rather cumbersome and difficult staging and grading criteria, which are frequently not accurately followed outside clinical trials. Our revised data correlate very well for clinical cGvHD cases, moderately for clinical aGvHD cases, but only fairly for aGvHD features. In order to tackle this issue, our evaluation was based on the documented clinical features to revise clinical grade and a blinded revision of histology. Performing a prospective study in which both clinicians and pathologists are restricted to official grading standards (and perhaps applying double reading) is nevertheless highly recommended to confirm our current results. In conclusion, we feel that at present skin biopsies in daily practice serve no other purpose than to confirm or deny the clinical diagnosis GvHD when in doubt. As the histologically acute features and sclerotic features do not restrict themselves to an acute or chronic group of patients and the presence of cutaneous GvHD alone does not reflect the importance of other involved organs systems either for the survival of a patient, we recommend to stop classifying the histological findings in a skin biopsy into acute or chronic in our pathology reports and just lump the histological diagnosis into one group of ‘histological findings consistent with GvHD’ with either lichenoid or sclerodermatous features, leaving the sub-classification into acute or chronic presentation to our clinicians. Histological grading of a skin biopsy on its own does not predict a patient’s survival and should be used either with lots of caution or preferably not at all to avoid incorrect assumptions on prognosis. MCHH, LCJB, JK, and RAW designed this study. MCHH, LCJB, DCV, MRD, and JHEK conducted the research, including the clinical analysis and morphological analysis of the biopsies. MCHH, LCJB, DCV, RAW, and PJD analyzed and interpreted the results. MCHH, RAW, and PJD wrote the manuscript. All authors reviewed the final draft of the manuscript. All authors read and approved the final manuscript. The datasets generated and analyzed during this current study are available from the corresponding author on reasonable request. All procedures involving human participants were in accordance with the ethical standards of the institutional and/or national research committee and with the 1964 Helsinki declaration and its later amendments or comparable ethical standards. Additional file 1: Figure S1. Survival proportions of acute cutaneous GvHD in patients presenting as acute GvHD at time biopsy (n = 66). A. Survival comparison of acute clinical cutaneous GvHD grading (p = 0.6812). B. Survival comparison of histologically acute GvHD grade in skin biopsies (p = 0.8111). Additional file 2: Figure S2. Survival proportions of chronic cutaneous GvHD in patients presenting as chronic GvHD at time of biopsy (n = 48). A. Survival comparison between clinical percentage of skin involved (p = 0.5231). B. Survival comparison of histologically chronic GvHD grade in skin biopsies (p = 0.7996).